Enter your information below to get instant access to How to Grow a Lasting Church Legacy. ….but often don’t know where to start. When it comes to your church’s legacy, how long is enough? Are you going to call it quits after a year? After five? Or will your church have a legacy of kingdom work that stands through multiple generations, when the rest of us are long gone? While every church’s legacy plan is a little different, how they are developed is the same: Prayerful consideration of God’s desire for your church. In the ebook, you’ll learn…. 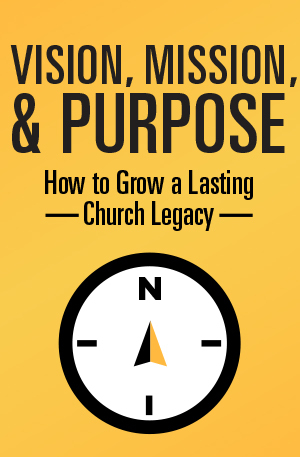 Don’t leave your church’s legacy plan up to chance—download your copy of Vision, Mission, & Purpose: How to Grow a Lasting Church Legacy for free today. At North Point we are always looking for ways to partner instead of pioneer. With Pushpay we found a partner who understands giving in the local church and handles it the way that we would if we were in their place.